Seeking the best litter box for multiple cats? When two, three, four, or fifteen cats live in your home, litter boxes fill up fast and the trope of a reeking house full of cats can easily become your reality. Choosing the right litter box is part of keeping your feline tribe happy and your home smelling fresh. Here’s what to look for in a litter box for multiple cats. Look for large litter boxes. Large litter boxes are easier to clean and don’t fill up as quickly as small ones. Because they don’t allow waste to build up in a single small area, large litter boxes feel sanitary, making them more cat-friendly. Unless you know your cats like them, avoid covered boxes. Cats play dominance games in the bathroom area. When an aggressive cat backs another cat into the litter box, the passive cat is forced to cower in their own toilet. It’s a frightening and demoralizing experience that keeps beta cats at the bottom of the feline power hierarchy. Covered boxes make the situation worse, giving beta cats nowhere to run when an aggressive housemate backs them into the litter box. Although they don’t cure strained relationships, open litter boxes give your cats the freedom of movement they crave. Look for litter boxes that offer good odor control. When multiple cats do their business in the same house, odor control can become a struggle. While daily scooping is the cornerstone of odor control, some litter boxes make the job easier. Look for litter boxes that feature antimicrobial and non-stick coatings. These coatings are no substitute for regular cleaning, but they can help to minimize odor buildup in a multiple cat home. 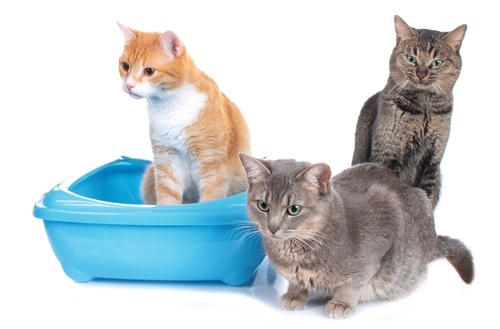 Work within your budget – seek low-cost litter boxes. When you’re buying three or more litter boxes, costs add up quickly. Litter boxes range from $5 for standard pan-style boxes to almost $500 for top-of-the-line automatic litter boxes. Choosing cheaper models will help you to justify numerous boxes throughout the house. Now that we’ve learned a little bit more about the litter box needs of multi-cat homes, let’s look at our picks for the top 5 best litter boxes for multiple cats. At 34.8 x 19.5 x 9.8 inches, this litter box is unmatched in size by virtually any other litter box on the market. The company says that the box can contain 30+ pounds of litter, but customer reviews indicate that you may be able to fill up this box with 65 pounds or more. This litter box is over 9 inches deep, so it’s big enough to contain plenty of litter without excessive scattering. The lowered front side allows kittens and cats with mobility issues to access the litter box. To help control those multiple cat odors, the litter box features an antimicrobial coating. This Microban coating also helps to prevent staining. Note that this litter box features a convenient side caddy designed to contain your litter scoop, trash bags, and other accessories. On the negative side, this caddy takes up space that could contain litter. At the same time, having a multiple cat home can leave you frazzled and you can use all the organizational tools you can get. This litter box isn’t as hefty as our top pick, but it’s a few inches larger than the average box. At 22.8 x 17.8 x 11 inches, this litter box is big and deep. It’s perfect for fanatical diggers and cats who tend to urinate over the edge of the box. So that cats of all ages and mobility levels can access the litter box, the Nature’s Miracle High-Sided litter box has a lowered entryway. Non-stick plastic helps to discourage litter buildup on the inside walls of the box, while an antimicrobial coating helps to stop odor formation. 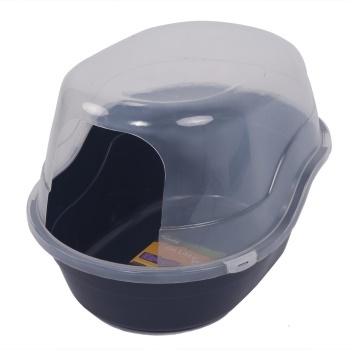 If you and your cats like covered litter boxes, you might try this extra-large hooded pan. 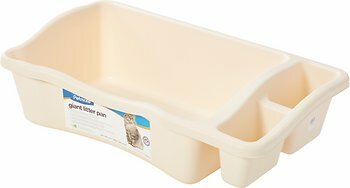 This litter box measures 25” x 19” x 8.5” around the “waist” where the cover and bottom meet. 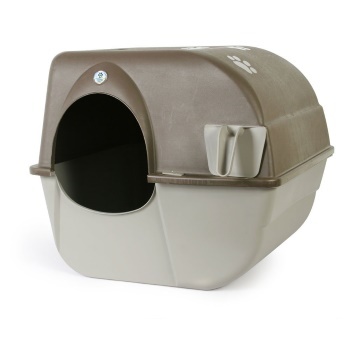 Because the litter box has a flared design, it’s slightly smaller at the bottom, with a floor measuring 18” x 12.5”. It’s available in two colors: navy blue and beige. Both colors come with a translucent hood, allowing your cat to see the outside world while they use their bathroom. The hood snaps on with high-density polyethylene locks. Customer reviews suggest that these locks are fragile and tend to break easily. Durability concerns are repeatedly mentioned in reviews – one said “you definitely cannot pick it up when full. It would explode!”. The litter box has non-stick surfaces for easier cleaning. If cleaning up after multiple cats has become a hassle, you might want to use an automatic litter box. As a disclaimer, no automatic litter box receives consistently positive reviews. Automatic litter boxes promise a lot and seldom live up to expectations. Individual results are largely dictated by the type of litter you use and how much your cats use their litter box. This LitterMaid model is made for multiple cat households. Its extra-large basin contains 50% more litter than the traditional LitterMaid, helping it to accommodate heavy use in a multi-cat home. 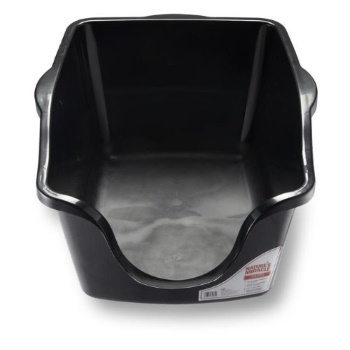 The litter pan measures 17 x 14 x 9.8 inches, so it’s respectably-sized, but not the largest on the market. Like all LitterMaid units, this automatic litter box features a sensor that detects your cat’s presence in the box. Ten minutes after your cat uses it, the litter box starts a cleaning cycle. A rake runs across the litter bed, scraping up clumped litter and depositing the clumps in an odor-controlled receptacle. 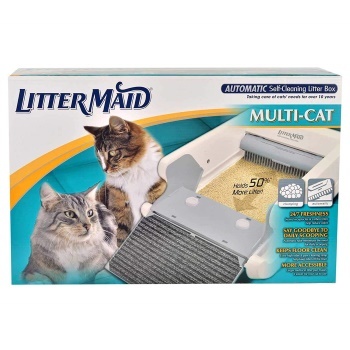 This litter box is compatible with any clumping or silica gel crystal litter, but works best when paired with a hard-clumping, fast-acting product. Sifting boxes are a relatively affordable and reliable alternative to automatic litter boxes. The Omega Paw Roll’N Clean is an innovative design that allows you to replace your daily scooping sessions with a simple rolling motion. Each time that you roll over the enclosed litter box, the contents pass through a grate. Clumped litter separates from clean litter and deposits in a waste drawer. This design is efficient and easy to use. The box is available in both a regular and large size, so make sure that you select the large one to accommodate your multiple cats. The large size measures about 23” x 20”. Use one box for every cat, plus an additional one. Your home should include one litter box for each feline household member, plus an additional box for emergencies, convenience, and variety. Three kitties require four boxes and thirteen cats need fourteen boxes. Realistically, most people with large cat families can’t clutter their house with more than three or four litter boxes. Large boxes and frequent cleaning can substitute for a litter box in every room of the house. Position litter boxes strategically to maintain peace in the household. As a multiple cat guardian, one of your primary roles is as a peacekeeper, maintaining healthy relationships between naturally territorial and marginally social animals. As a central part of feline life and one of the primary spots where cats mark their territory, the bathroom is one of the top battlegrounds for territorial engagements. 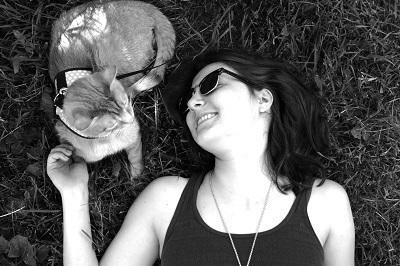 Defend your kitties’ psychological wellbeing by granting them the private territory they crave. If possible, position the litter boxes far apart from one another. Your cats may choose to share a litter box, but this distance gives your cats the option to use separate spaces. By placing a litter box on each floor of the house, you give different cats the opportunity to claim favorite floors and appropriately mark that territory as their own. Keep the litter boxes in cool, dry locations. When living in a multi-cat home, you need a good odor control strategy. Your litter boxes’ placement is part of that strategy. Warm, humid areas encourage bacterial growth and exacerbate odor problems. You’ve learned about the best litter boxes, but have you chosen the best cat litter for multiple cats? Click here for our guide to the best cat litter for multiple cats.